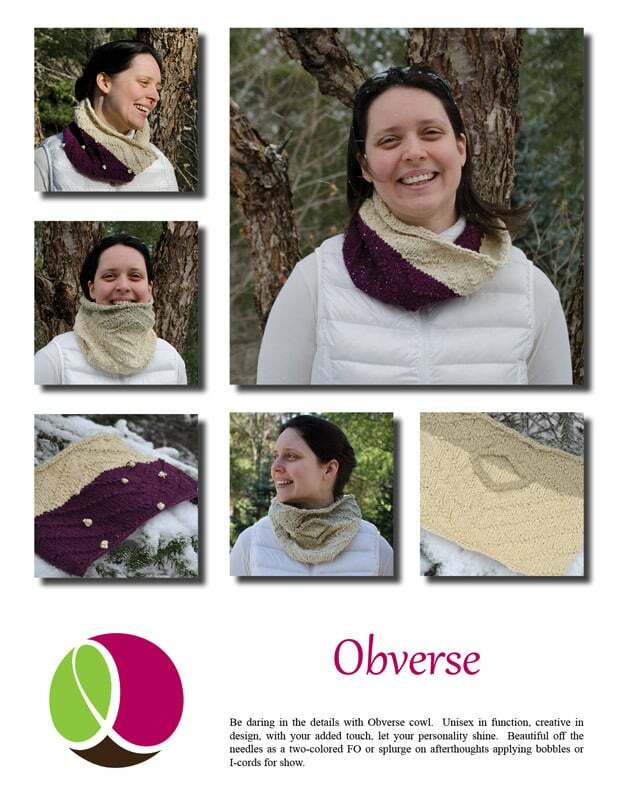 Be daring in the details with Obverse cowl. Unisex in function, creative in design, with your added touch, let your personality shine. 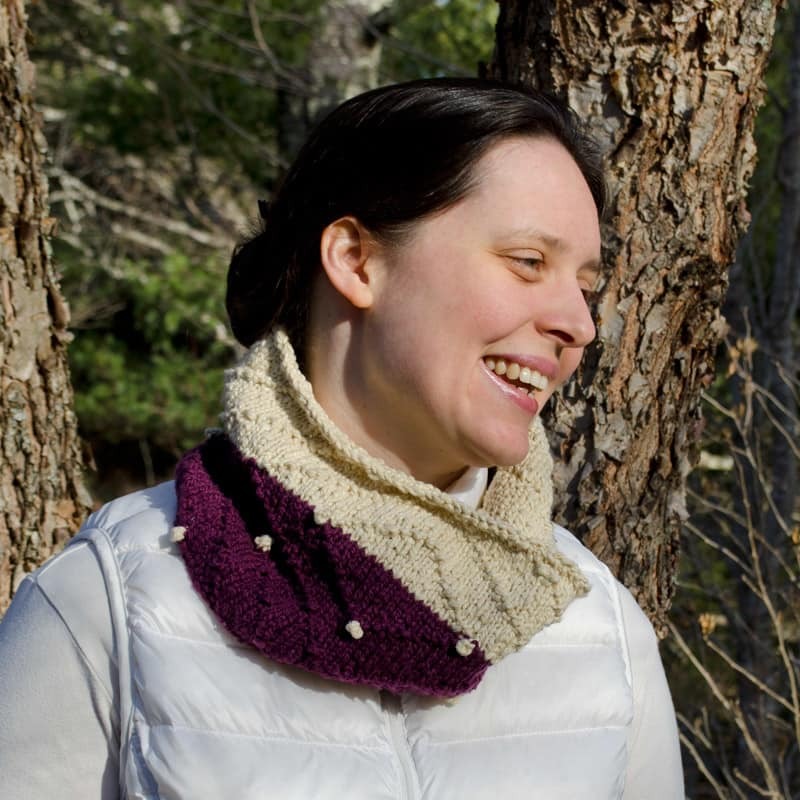 Beautiful off the needles as a two-colored FO or splurge on afterthoughts applying bobbles or I-cords for show. 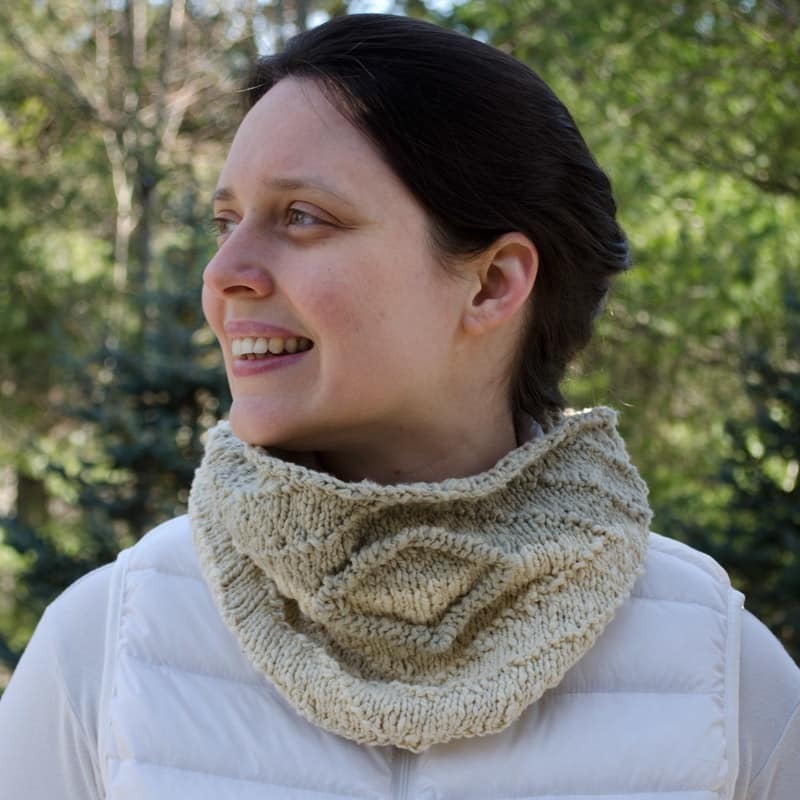 The tech edited and test knit pattern is fully written with the repeat charted. 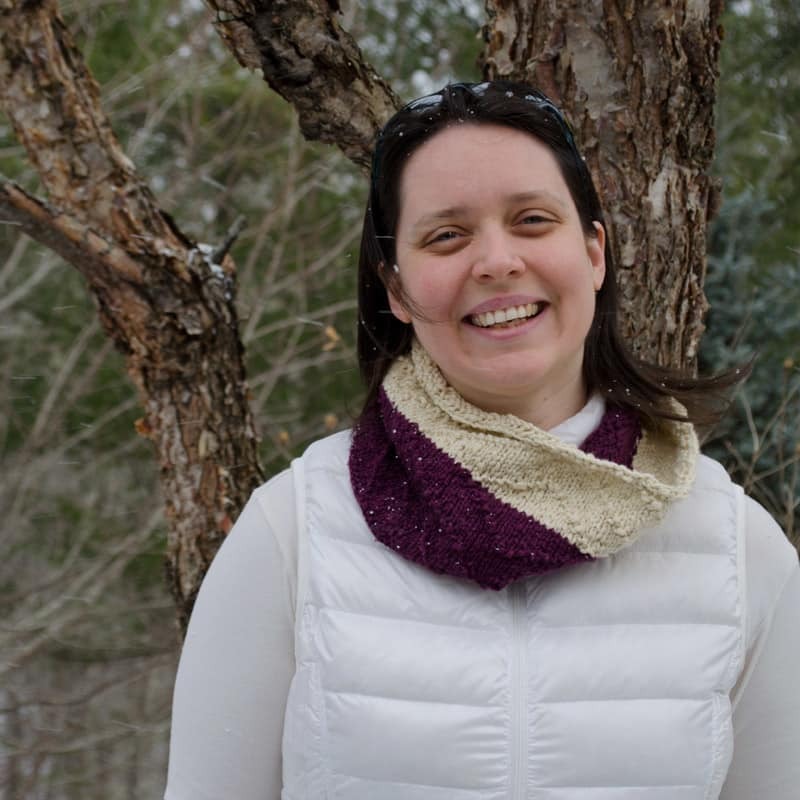 The pattern also includes two photo tutorials – Afterthought Bobbles & Applied Purl I-cords. 24”/ 61cm around by 8.25”/ 21cm tall. Easily customizable! Add or subtract a multiple of 18 sts to increase or decrease the circumference. Work more or less repeats of each color to increase or decrease the height. 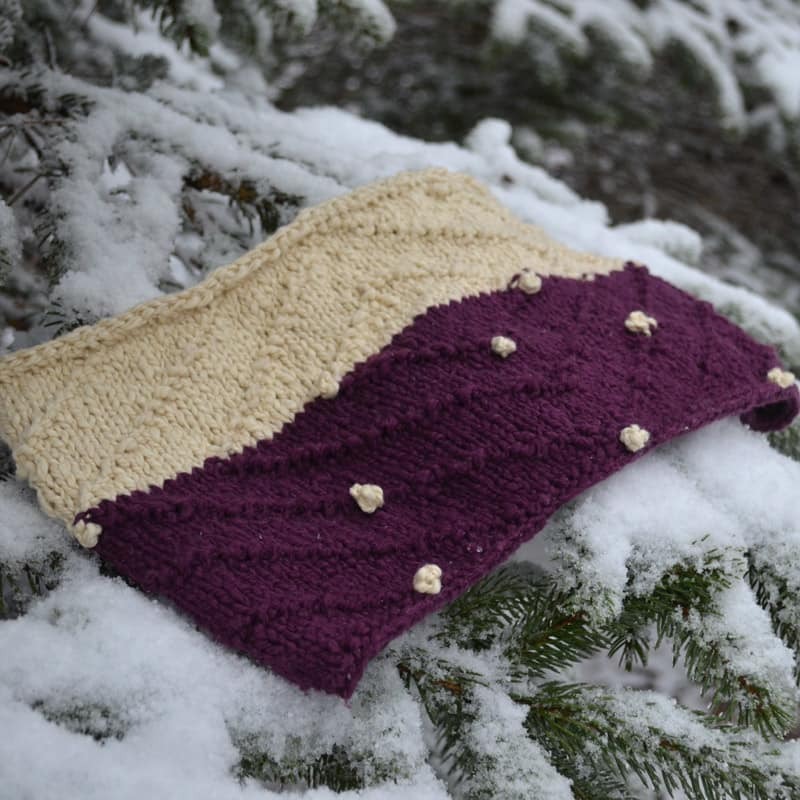 Shown in Galler Yarns Inca Eco – Sample 1 Color 605 Wine (MC) & 609 Butter (CC). Sample 2 Color 609 Butter (MC) & 610 Sage (CC). 18 sts and 28 rows over 4”/ 10cm using larger needles. Note: exact gauge is not critical to this design. Gauge variations may impact final size and yardage requirements. Show your style with color and details!